Disturbances of glucose metabolism and diabetes are widely prevalent in acute coronary syndrome (ACS) and relate to adverse outcome, irrespective of presence or absence of previously diagnosed diabetes. The City Hospital (SWBHT) team developed a protocol incorporating a random HbA1c diagnostic blood test on day 2/3 post admission for every such admitted patient with ACS. 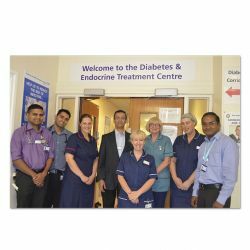 All HbA1c results were sent directly through to Diabetes Department via Think Glucose (TG) electronic system on iCM and patients were subsequently invited for a repeat HbA1c at 2 weeks. As a result of this simple, inexpensive yet innovative tweaking of an electronic system on iCM, the team managed to accurately estimate new onset diabetes (10.7 %, nationally 5-7%) in high-risk post ACS patients, who would otherwise have been missed. Every such patient receives counselling about their new diabetes diagnosis, future cardiovascular risks, management plan for their GP and are enrolled into X-PERT diabetes structured education programme. All this fi ts in with the new CCG and National drive towards screening and detecting new onset diabetes in high-risk populations. Cardiovascular disease is the major cause of death in diabetes patients, accounting for 52% of deaths. Abnormality of glucose metabolism is widely prevalent in acute coronary syndrome (ACS) patients. Hyperglycaemia on admission in ACS patients has been considered an acute stress response, and is associated with a less favourable outcome in patients with/without known diabetes. Even in the absence of manifest diabetes, long-term glucometabolic dysregulation increases the risk of mortality of ACS patients both in hospital and after discharge. A screening strategy using HbA1c as the preferred test would be pragmatic and improve early detection and management of glucose intolerance in acute cardiology practice. However, data for screening new onset diabetes with HbA1c in patients presenting with ACS to hospital has not been routinely validated nor previously shown to be consistently utilised on a practical level. An initial pilot project for screening included fasting blood glucose (FPG) as well as HbA1c measurement. Unfortunately, FPG was being undertaken in less than 50% of post-ACS patients. To screen high risk patients presenting with acute coronary syndrome (ACS) for diabetes (if not previously diagnosed). 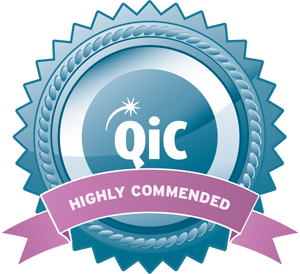 To offer early referral to our one-off specialist clinic and EXPERT education course to improve longterm outcome of these patients including raising awareness and reducing further cardiovascular burden.